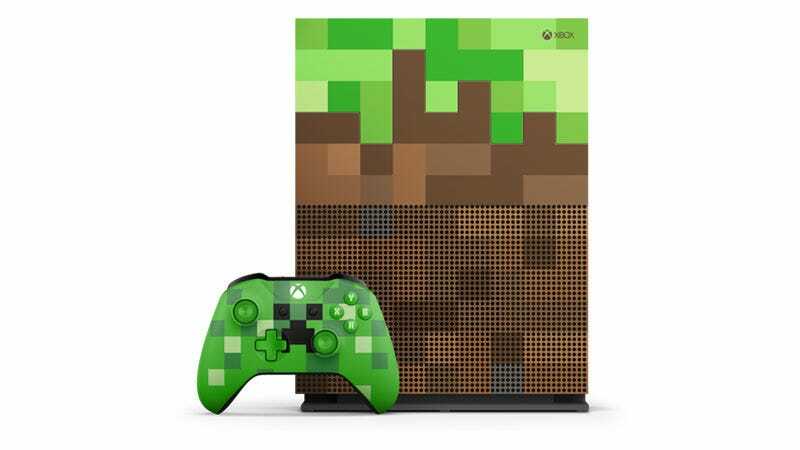 Over the next two months Microsoft will be releasing some very Minecraft-themed pieces of hardware: an Xbox One S and two controllers. They have gone all in on the branding, to surprisingly excellent effect. The console itself (out on October 3) looks like some Minecraft terrain from the top, and is easily the best of the offerings: even if you hate Minecraft you could lay it down and it just looks like a very nice pixel art console. It comes with a controller that looks like an oddly-shaped Creeper. There’ll also be a standalone controller styled after a Minecraft pig that’s out on September 12 (you’ll also be able to get the Creeper pad separately). It is if nothing else very pink, which means Michael Fahey probably already has it preordered. A final note: if you ever pick one up because you like the front/top of the console, please don’t ever look at the back.